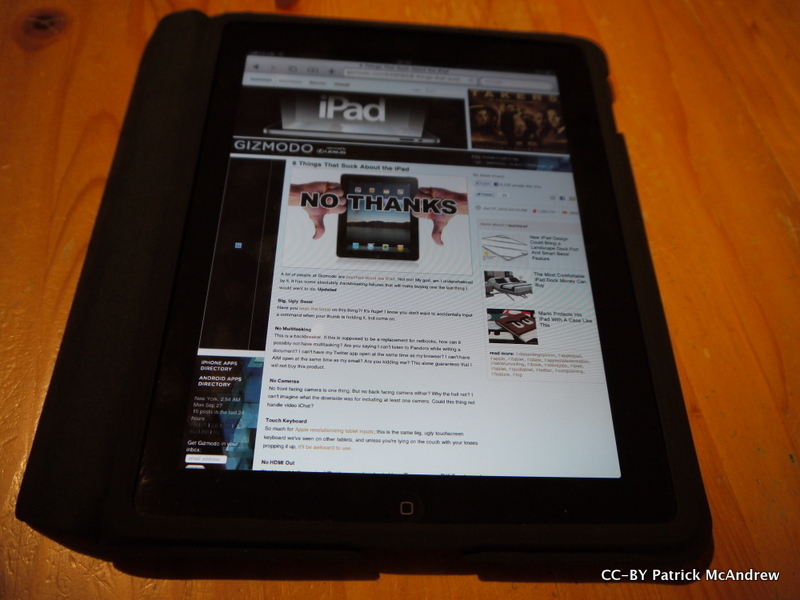 iBook Author – is it OER incompatible? 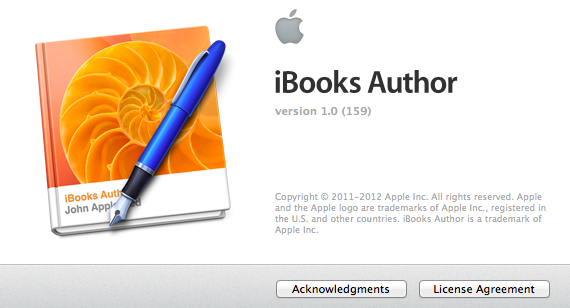 Important update (20 February 2012): Apple acted to change the End User License Agreement on 3 February 2012 with release 1.0.1 of iBook Author. This modified the restriction on commercial use to say “and includes files in the .ibooks format generated using iBooks Author” so it only applies to the iBook version of the text. As long as iBooks is the only platform to support that format this is no problem. So I hope it fixes most of the issues I mention. Though I must admit it still leaves me a little uncomfortable and probably still needs checking out a bit further. 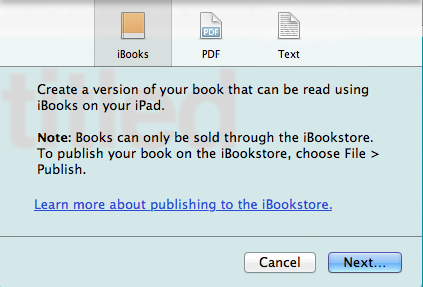 So this says that I can only sell by Book through the iBookstore. Fine I have no intention of selling anything… BUT I think this is the first time I have come across an application that says that I can only use the output – the thing I make – in a particular way. 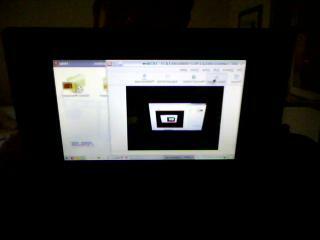 I then went investigating into the licence that I would be signing up for if I used the software. So condition (ii) clearly says that if you are making any money from the iBook then it must be distributed through Apple. But what about condition (i) – that sounds ok but I feel there could be a couple of catches. Catch 1: the file format is .iba (not sure you can do much with that other than put it it iBooks I guess) but you can also get a PDF so maybe that is not so bad. Catch 2: if I produce something I want to but a Creative Commons licence on it. In fact if I am producing something for a couple of projects that I work on I am contractually required to produce it using CC-BY. But then CC-BY allows anyone else to republish AND they may do so for commercial gain. So either I have found a loophole – release with CC-BY then anyone else (which typically include you) can reuse your work in anyway they wish provided they attribute it to you. OR I have found a barrier – you cannot stick a CC-BY licence on anything made with iBook Author. The terms imply this is true even if you export it as PDF (or strictly probably even if you export as text). This needs the usual health warning – I am not a legal expert, what is more I can just be plain wrong :-). Anyway I don’t like this condition and I have written this blog instead of playing with the software. Recently at work we bought a couple of iPads. These are in the hands of Martin Weller and Karen Cropper both of whom are now keen users. Last week Karen let me have her iPad to use for a week and I expected it to hook me as well. There certainly are some nice things about the iPad – it feels good to browse with it, Flipboard is a great way to follow streams, reading books in iBooks feels slick, and playing iBubble on its large touch screen is addictive. BUT in the end it was not for me and I was able to give it back into Karen’s eager hands without any great wrench. The reasons for this I feel fall into two parts. First there was just too much that did not feel as if it worked as well as it could. This is exactly where the strengths of Apple normally lie, but on the iPad the wi-fi was too flaky and the missing camera limits possibilities. For me the disappointing capabilities of two add-ons flag up that this machine is not as good as it could be: the VGA adapter only works for some programs, and the SD card reader only allows thumbnail views. This brings me to my second point that the iPad underperforms as a work machine. I had thought it would be great to use the touch features for collaborative brainstorming; but I could not project to the large screen. And I expected to take photos and instantly put the camera card in to show them off; but to do this I had to slowly pick and transfer the files first. In particular I thought the iPad would be great for having PDF documents loaded to replace paper in meetings; but too cumbersome to switch between the documents so I was better off with my laptop (and best off with paper!). I also was in a meeting where five other people had iPads – the effect was of looking at the top of people’s heads as they found documents or made notes. I felt more part of the meeting behind my laptop screen. Throughout my week I kept putting the iPad to one side and using my Macbook Pro instead. The one win at work was when I had to carry out workplan approvals – a job where I needed to bring up page after page and click a button, this was much more satisfying with the touch screen rather than a mouse. The iPad does feel like a first generation – I remember feeling just the same when I got an early model iPod Touch. That has been transformed by software upgrades and hardware improvements so that I am now a constant user of the iPhone 3GS I have (though notably it is not my phone – that remains an ancient Nokia). At the moment then no iPad for openpad, but I suspect I will waver in the future – though whether this time Apple has gone too far with its gradual upgrading approach and will allow others too leap ahead remains to be seen. Philosophically an openish Android would better match my views than the proprietary iPad so my colleague Liam Green Hughes may yet win in this argument! On an Intel Macbook (2GHz/1Gb/120Gb) running OS X 10.4.11 Tiger. The skeleton database.mysql does not exist – so ignore the error message and carry on with the next part to enable PHP on the Mac. Open /etc/php.ini in your preferred text editor. After that things got better – a few more directories needed permission changed and I haven’t worked out how to enable the GD graphics library but I am now away and happy. Just need to work out what to do with Drupal. I hope listing this might help someone (or me when I come to do it again). Some bits are from memory so I hope they are right. I am at a conference making some blog entries across at my OCHRE OpenLearn blog. I was taking pictures to illustrate by blog about Marsha Lovett’s presentation and it was not working. Strange error messages resulted asking me to “checktickets”. Looking at the Flickr blog they know about it as their “farm1” is down. I am sure they will fix it soon but it does seem strange to have one of the major Web2.0 sites not working. I could of course find other solutions but for the moment I will wait it out and add the pictures a bit later. Waiting for the Asus eee (ordered a couple of hours ago) makes me realise that edging towards Linux has been a background activity for me over the last year or so. However my first attempt took a bit of a set back. I checked out an old laptop from the cupboard of abandoned machines at work and install Fedora Core on it (I think it was when Core 5 was just released). After that I spent quite a lot of time getting my obscure wireless card to work. (That card was actually a prize from the AusWeb 2004 conference for guessing that I was mean to be Steve Irwin in a line-up – so some excuses for being obscure.) So I spent a happy time getting and compiling source code, installing apache, php etc. Got to the point where I had quite a nice set up with everything working… and then the computer melted! You can see the result in the picture – is this revenge of Microsoft for daring to remove their OS? Not sure about that – maybe there is something needed to keep the fan working properly that I had removed in the process. I did persist after that and got another old laptop out of stock. This time (about April 2007) I found that the distributions had really moved on – PCLinux installed amazingly quickly but I settled on Ubuntu as a combination of slickness and facilities. 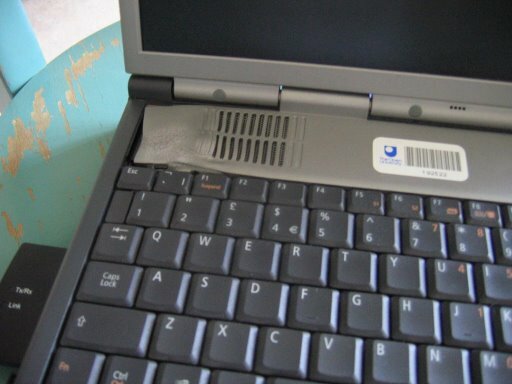 The laptop is up and running – but I never did get the wireless card working again. In contrast to my first attempt when I knew that I would have to mess around tracking down drivers and modifying the kernel to get it to work, I felt that the plug and play interface should just work. I have found the same feeling when working with Macs – they are great when they work but can be hard to probe when they don’t. Here is hoping that the Asus both works straight away and lets me mess around under its bonnet and do a bit of tinkering!